Written by Brenda on December 22, 2014 How to sell online. Customers have more opportunities than ever to engage with stores they love, and you’d do well encouraging your customers to take full advantage of all the opportunities they have to talk to you. However, most retail stores are missing the boat when it comes to connecting online shoppers with offline information. They display their locations and hours on their websites, but less than 4 out of 10 provide information on their products and services on social media. It’s a shame, since the e-store owners who do effectively use social networking have found that it is a very efficient way of discovering what their customers want. They also enjoy more control over their businesses’ reputations, as they can respond to complaints and controversies instantly. So today, we’ll show you how to leave the first category and enter the second. Many of the basics for social media marketing are consistent across the platforms. First, you need to have a goal. A common mistake is to just toss out a haphazard mixture of your current promotional offers and whatever’s on your mind that day. However, that’s dead wrong. You need to set a goal for your social media outreach. This doesn’t have to be one big, overarching goal for all time—you can and should change it often so that it’s always aligned with your company’s current interests. If you’re hiring someone else to do it, keep these qualities in mind when you’re selecting your candidate. They should know your business inside and out. They should be eager to listen to your customers, engage with them, and report what they’re saying back to you so that you can learn from it. 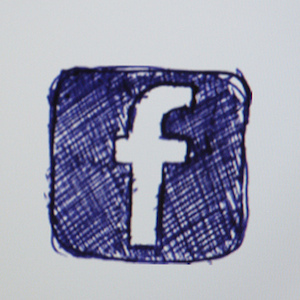 Don’t restrain your company with too hard of a social media policy. Remember, one of the main points is to humanize the otherwise-abstract concept of your online store. Don’t ruin it with the same corporate-speak and bland, inoffensiveness-targeted writing you’d use for a formal letter. However, do be professional, and study any hashtags you use or trending topics that you post about to make sure commenting on them would be in good taste. It’s very easy to stick your foot in your mouth on social media. Finally, familiarize yourself with different social media outlets’ peak times and post during them. Do some research into it yourself, as well: many companies have found that their target audience has a unique set. And in addition to the regular analytics you use to track referral sources to your store, companies like Sprout Social can provide a more detailed breakdown. If you’d like to do it for free, there’s Hootsuite, Social Mention, and FitSmallBusiness, to name a few. As you’re no doubt aware, Facebook slashed the organic reach of business pages this year in order to increase the number of people who would pay to market instead of getting it for free. A recent study of 100 brand pages by legendary copywriting firm Ogilvy & Mather found that updates posted to public pages dropped from reaching 12% of their likes in October 2013 to 6% in February 2014. According to Techmystique, it’s now somewhere around zero. On Facebook these days, content is only king if you’ve got the ad budget to back it up. But wait: even if it’s more difficult to reach new people on Facebook now, it’s still a good way to keep in contact with ones who are already fans of your brand. Facebook is still the largest driver of overall traffic compared to other social media sites, and you can still get results from it. In the words of Shareaholic manager Danny Wong, the key to an effective strategy is one that provides shareable content and makes influencers willing to promote the brand because it’s interesting, as opposed to a heavy focus on the brand page. He also claims that sponsoring news feed posts often outperforms any amount of sidebar advertising. Twitter has their own, quite helpful, guide for businesses here. If you’re running your own Twitter account, keep these in mind as you type. But the key to Twitter success is to follow—and be followed—by the right people. Don’t just aim at a mass market. Unless you’re the online equivalent of Wal-Mart, chances are you won’t have something for everyone out there anyway, so make sure you’re aiming to attract quality Twitter followers. Post often, post informative updates, share news and photos, and respond to anyone talking to you ASAP. Pinterest is a fairly competent marketing platform, too. Although nowhere near as populated as Facebook or Twitter, nearly 1.5 million people visit every day, which is still no small number for a potential audience. And unlike those two platform’s more fleeting traffic, a single pin can bring in traffic for weeks. The value of Pinterest is in its pictures, so create unique boards and give them distinctive names, post high-quality images at least 6-800px in width, and write detailed descriptions for each one. In addition, all videos from Vimeo or Youtube are pinnable, and sharing them will give them an influx of views. Pinterest is a bit different from most social networks in that people are more likely to follow individuals than companies, unless they’re already well-known brands. So you might want to use your real name. Also, don’t start trying to sell too much right away. 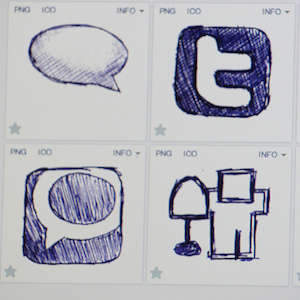 Begin by sharing fun and relateable pins, with an emphasis on sharing other users’ content. 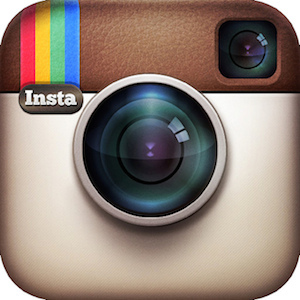 If you want to make your products look good, Instagram’s the way to go. It also boasts 15 times more engagement than Facebook, so if you want views with a better chance of converting, there’s no reason not to give it a try. Like Twitter, you’ll want to use audience-specific hashtags. Ones that both describe your photos and business and are actively being searched for on the site. Iconosquare or Websta can help find them. Post pictures of your new products regularly, and for social proof, if you get good feedback from a customer who uses Instagram, encourage them to take a picture of or with your product and post it under a certain hashtag. Then highlight it yourself. As we mentioned in our article on garnering reviews, there are six social networks particularly good for that: Google+, Yelp, Angie’s List, Yahoo! Local, LinkedIn, and TrustLink. If you’re interested in getting regular feedback, make sure you have a presence on them. If you have any content that would be of interest to a niche community, consider starting a Reddit account and sharing it. That will cost you either money or time, though. If you don’t dish out for an ad campaign, you’ll have to share other peoples’ content nine times for every time you share your own. If you choose the latter, be careful, as you can easily get addicted! Despite all the complexity social media seems to entail—there are people who make it their full-time jobs, after all— it’s not as intimidating as it seems. Be friendly, polite, and prompt in your responses; track what’s working and what’s not; make sure to keep a sense of humor; and never let criticism or ribbing get to you. Do that and you should be fine. Finally, remember to connect all your social media accounts to each other, as well as to your website. Now over to you. Any further strategies we should have mentioned? Favorite networks to market on? I’d love to hear your ideas! Awesome article. Thanks for the info! Will be putting some of this to use!